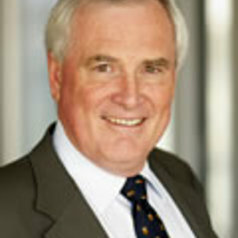 Michael Crommelin was Dean of the Law School from 1989 to 2007. He holds a BA and LLB (Hons) from the University of Queensland and an LLM and PhD from the University of British Columbia. Michael has held visiting appointments at a number of universities, including the University of Oslo, the University of British Columbia, the University of Calgary, and Georgetown University. In 2009, Michael was made an officer of the Order of Australia for service to the law and to legal education, particularly as a tertiary educator and through the development of mining and petroleum law in Australia.